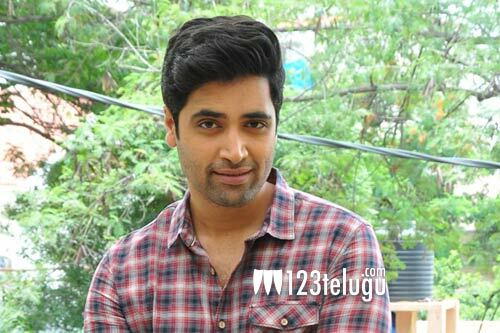 Goodachari is ready for a release this Friday and on this occasion, we caught up with the main lead Adivi Sesh for a brief interview. Here is the transcript. How nervous are you about the film’s release? For every film of mine, I always get very nervous. But for Goodachari, I am super confident. yesterday, we had a small preview for about 50 people and most of them liked the film giving immense satisfaction. Now, I am more eager to find out how they react to the film. What kind of spy film is Goodachari? Many spy films show how the officers operate in real life. But Goodachari is more of a military film where a common man becomes a spy and goes on a mission. The narration will be quite realistic and will depict a certain mission of RAW. Any similarities with old Goodachari? My film has nothing to do with the old Goodachari. In fact, I went to Krishna garu to request him to do a small special appearance in the film and he did not oblige as he has quit films now. But he was sweet enough and told us to use any clips from the old Goodachari. Why didn’t direct the film yourself? Many years back, I made the decision that the films I write, will not be directed by me. I will only concentrate on acting and that has been intact for all my films till now. Why didn’t you sign more films after Kshanam? To be frank, I rejected close to 50 films after Kshanam. Many said I was arrogant and success got my head. But, my only thought was to do films which I believed in and that kind of a film is Goodachari. There is no competition between Rahul and me as we are very good friends. Vennela Kishore is doing crucial roles in both these films and we all are chasing our individual dreams and hope that we all are successful.